The race for Steve Rogers is on! On one side - BUCKY and the BLACK WIDOW and members of the AVENGERS and FANTASTIC FOUR! On the other - NORMAN OSBORN and HAMMER, THE RED SKULL and his evil hordes, with DR. DOOM waiting in the wings! And where... oh where, is the real CAPTAIN AMERICA? 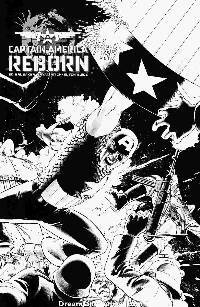 Ed Brubaker, Bryan Hitch and Butch Guice bring you the biggest Marvel comic of the year!